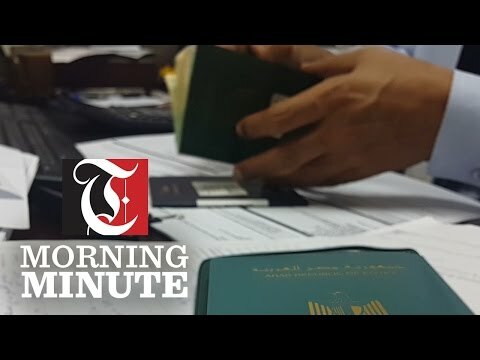 Mohammed Farji, a trade unionist in Oman, said that the two-year visa ban is hurting many expats. Muscat: Mohammed Farji, a trade unionist in Oman, said that the two-year visa ban is hurting many expats. His reaction comes after Oman’s Minister of Manpower has agreed with Shura Council members that the two-year visa ban should stay. “This law keeps a worker bonded to the company. If a worker has completed his job contract with a company, he should be allowed to join a new company without any hassles,” the trade unionist said, adding that the International Labour Organisation (ILO) is pushing Gulf countries to remove such systems. Mohammed Khaldi, another trade unionist, said that such restrictions should be removed. “If we want private sector to flourish in these economic conditions, then such restrictive rules should be lifted. Keeping such rules will have an impact on worker productivity,” the trade unionist added. A marketing official in a private college in Oman said that the requirement of a no-objection certificate and the two-year visa ban is forcing her to stay at work even though work conditions are not good. “I wanted to move to other institutions. Even though I had completed my job contract, I was denied the NOC. Without a NOC, I will face a two year visa ban. I will try to adjust, but if not, I will leave Oman for good soon,”the marketing official said. In November, Ahmed Al Hooti, a member of Oman Chamber of Commerce and Industry, said that the NOC should stay but with certain clauses. “If we scrap it totally, workers will jump from one company to another, posing a threat to his previous company. He can even start a business and become a threat to his previous employers. So, NOC should stay,” the OCCI member said. “However, if somebody has put forward a genuine reason to move to a new firm, after completing his two-year job contract, he should be given the NOC. He should not be held back and placed in trouble,” the OCCI member added.